Weddings are expensive. That's just the honest truth. 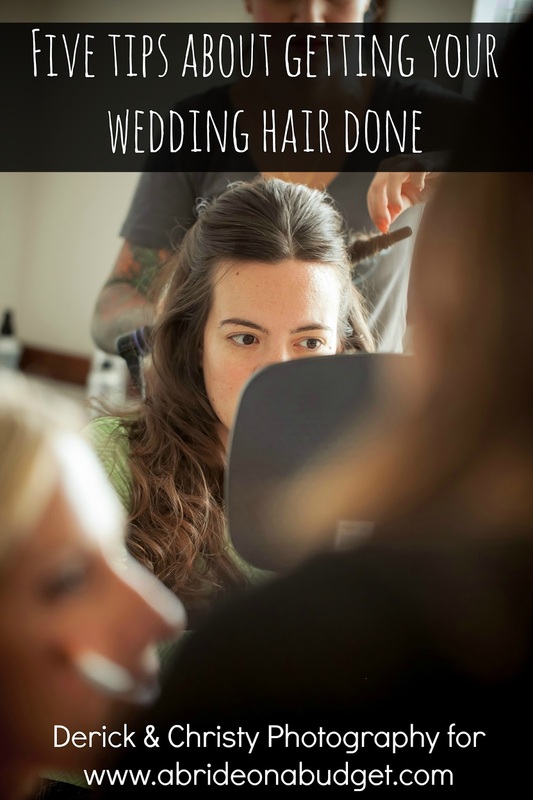 No matter how many pennies you pinch, no matter how many projects you DIY, you're still going to pay quite a bit of money for your wedding. So you have to save. Instead of going out to lunch every day, you'll have to brown bag it. Your old shoes will have to last a little bit longer. And your date nights turn to evenings in. But staying in can be really fun. 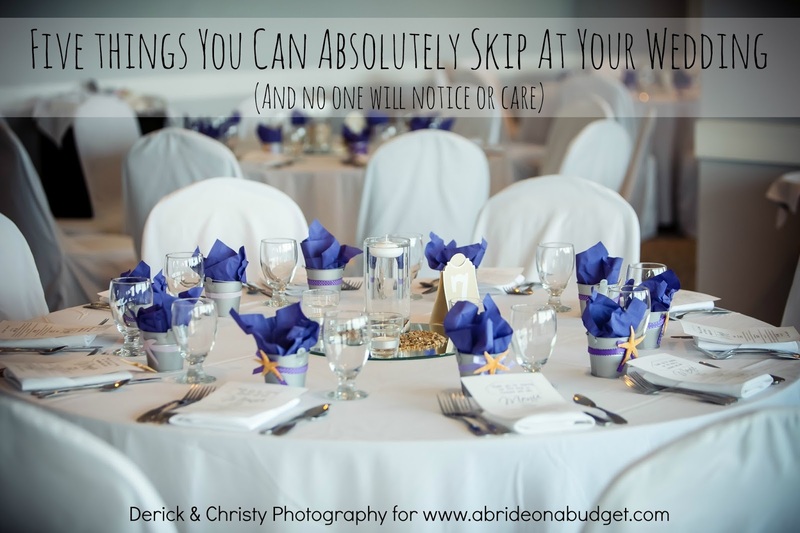 It's a good time for you and your fiance to hang out without the noise of anyone else. We have at home date nights a lot, watching movies and having snacks. It's a simple date that saves you a ton of money. Have fun with it, though. 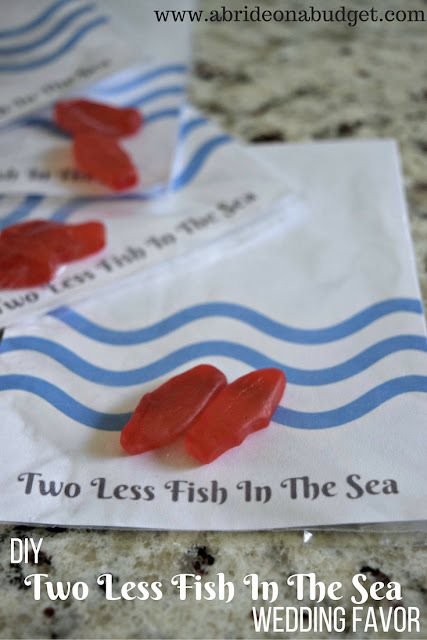 For our last movie night at home, I bought a family size bag of fish-shaped candies and made cute "Two Less Fish In The Sea" labels for the glasses I put them into. I mean, that's the reason you're hanging out at home and saving money, so you might as well play off that. If you're making these using the glasses I used, you'll need the larger bags. I used almost the entire bag to fill up two. Using the paper trimmer, cut off the white edges on the printable. Tape one side down to the glass. Wrap the printable around and tape down the other side. 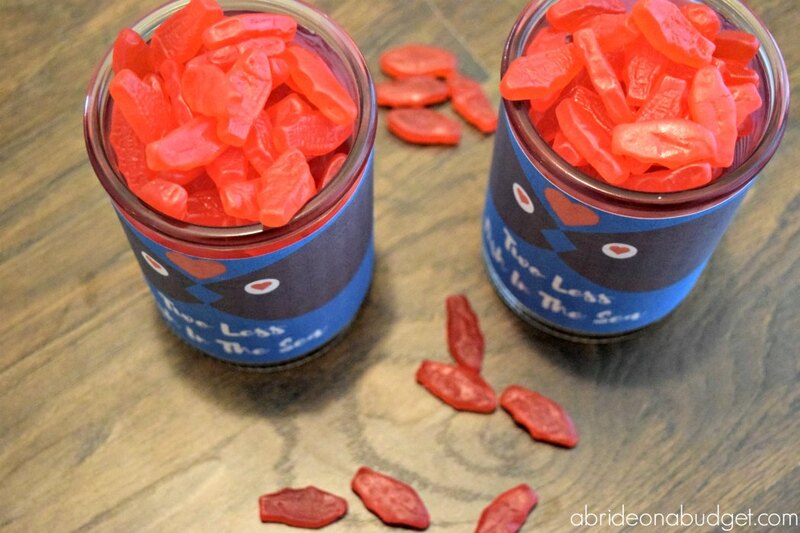 Fill with the fish-shaped candy. That's the easy part. The hard part is deciding what movie to watch. It's formatted to fit an 8.5x11 piece of paper, so you're able to print it at home. This size perfectly fit on my can glasses, so if you're able to find those, that's your best bet. If you're not, anything with a circumference around 8.5-inches is what you're looking for. Anything smaller and you'll end up cutting off the tails of the fish. This is just flat (not curves for a glass), because my can glasses aren't angled. 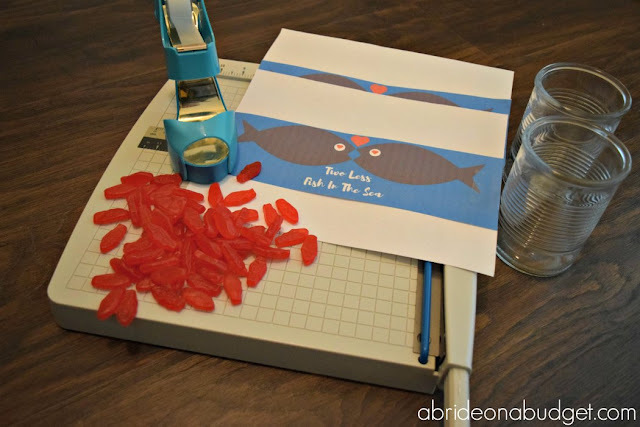 If you want to put your fish-shaped candies in a bowl, print this out, affix two wooden skewers to the back, and stick that into the candy -- essentially making this a banner. The only big difference there is you would have to share the bowl. But, really, if you're getting married, you'll need to get use to the whole sharing and "what's mine is yours" mentality so candy is a good place to start. BRIDAL BABBLE: Would you make this DIY Two Less Fish In The Sea Glass? 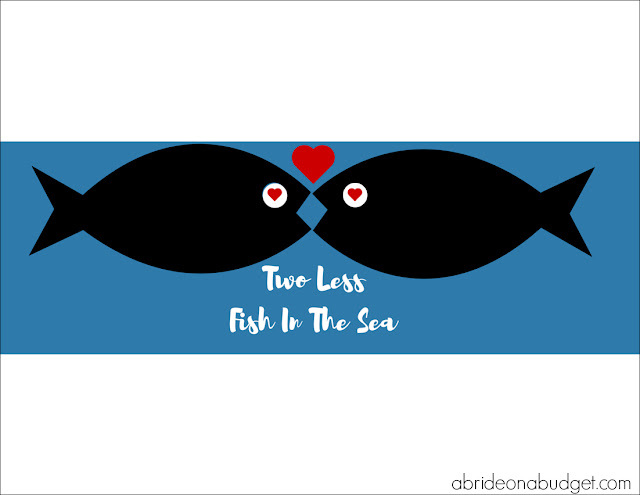 Make our Two Less Fish In The Sea Wedding Favor. 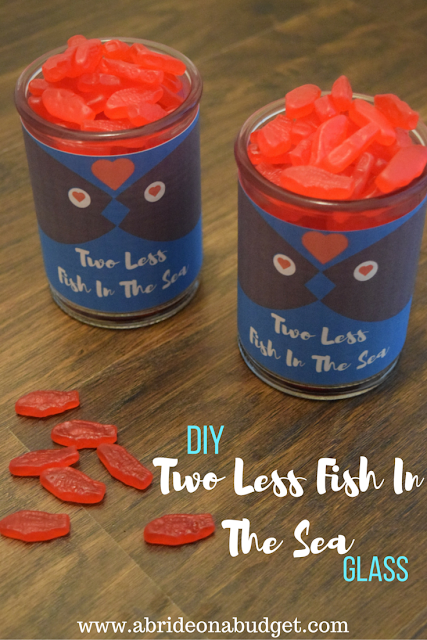 I totally need to do this for my son's fishing party in a few weeks. Great pricing on those bags of candy ..
What a cute idea! I love little gifts like this! Oh my goodness, I cannot!!! These are too cute! I think they'd be the perfect bridal shower gift! Really cute idea. I love Swedish fish so I would have needed to pick up am extra bag for myself, LOL. Thanks for sharing. HOW ADORABLE! This is such a great idea. It's so creative and fun. Creative! I really like how this turned out! 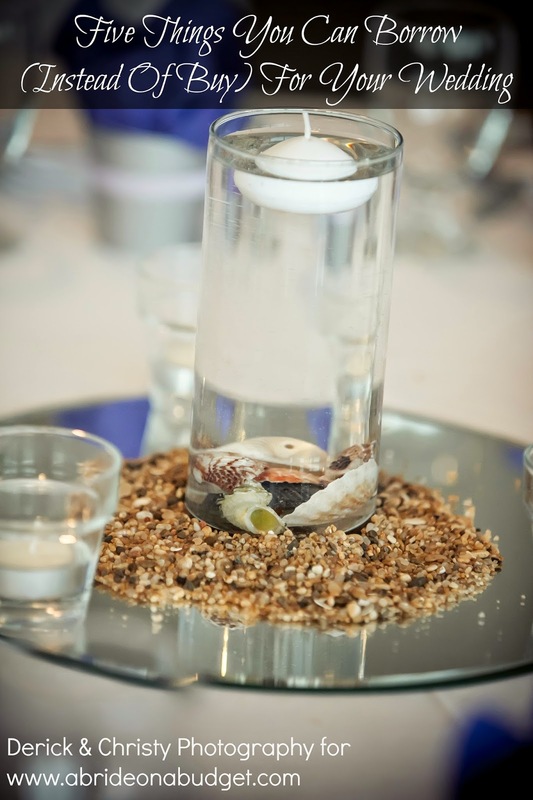 Hi Lisa, what a great idea that could be used for so many different occasions/parties! I hope you and your fiancee found a great movie to watch while you enjoyed your fish! Thanks for coming by and we hope you come back to share your oldies but goodies next week at From the Archives Friday. This is a really cute craft. Thanks for sharing! I think I am doing this!